We’ve been having some wonderful words with Pim van Baarsen. 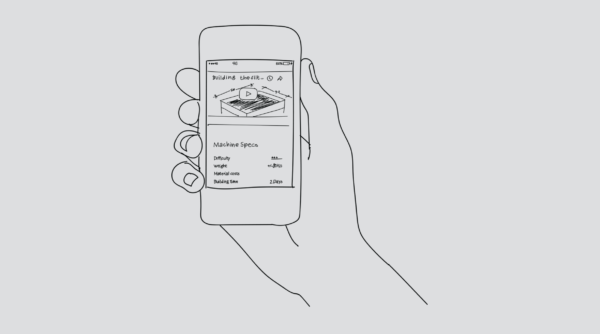 Pim is one of the members from the incredible problem-solving product-designing duo, Super Local. In May of this year, Pim entered the What Design Can Do ‘Climate Action Design Jam’. 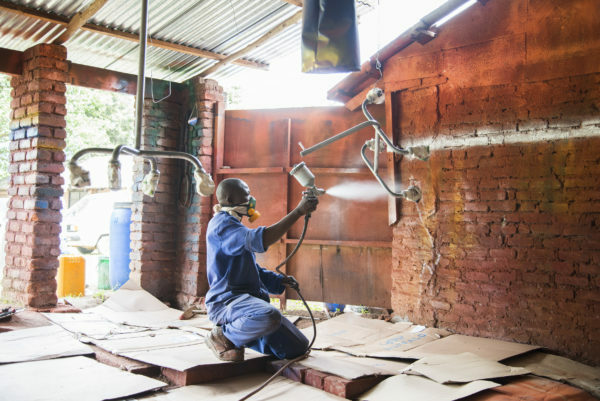 His team, Water Tank, created the winning project; a rainwater storage tank for areas prone to drought that could be built with local materials and no high-tech skills. As a result they won a year’s membership to our Makerversity co-working space and workshop to prototype before they submit to the Challenge. Pim – out of the team members – had a go at exploring the project’s feasibility in a live situation. He tells us later about the importance of testing ideas in context. Additionally, Super Local are now an award winning partnership. 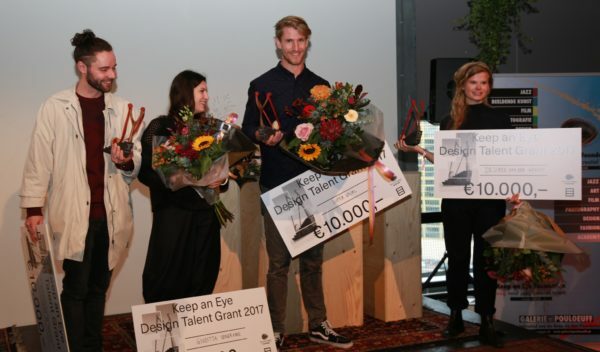 This year they won the Keep an Eye Design Talent Grant and were Young Designer Finalists at Dutch Design Awards 2017. During our study at Design Academy Eindhoven we found ourselves creating problems just so we could solve them with a design-y solution. We came up with tables, lamps, chairs and other crap nobody really needs. Our designs were often too complex to produce and we didn’t solve anything at the end of the day. Our traditional design was only available for the happy few. But why could we not use our creativity to solve real problems? That’s where we started. After some research we discovered that 90% of the world population doesn’t have the financial capacity for our design, but does have a need for well designed products and insightful solutions. That’s how we started to use our design skills to solve social and cultural issues mostly in developing countries. How are you making your mission a reality? Basically just by doing! We like to work hands-on and getting bored as soon things become too theoretical. Getting started is the hardest part, and therefore you need a blind spot or at least being as naive as we are. We always start with extensive research within the subject. We believe solutions are always found in the country itself and that’s why we always try to really go there. Since 2012, we’ve work on social-related design projects, but we were having a hard time paying rent. Especially the local salary was a huge challenge. Last year we took a job aside from our design studio, to be able to take some distance and think about Super Local’s backbone. For the coming year we want to kickstart Super Local again and invest in collaborations with NGO’s, foundations and governments to enlarge the impact we generate. Tell us a little about your team. Super Local was found by the two of us, Pim van Baarsen and Luc van Hoeckel. So far we’ve done all projects together. For the future we have plans to expand our team and hire other disciplines to have a bigger impact. 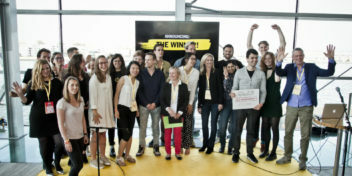 Why did you enter the Design Challenge at WDCD? We saw it as a nice opportunity to hop back in the saddle and get inspired. It seemed the perfect way to be part of the magic that happens during the event and to meet new people that have the same drive and vision. I liked the subject and thought we could add something useful to it. What project did you enter with? 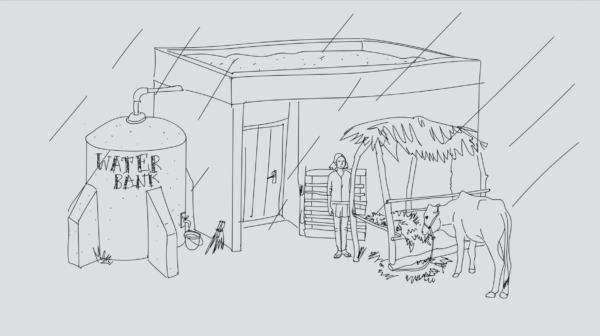 We came up with a very low tech water filter households could use to filter rainwater into drinking water and a way to store it. 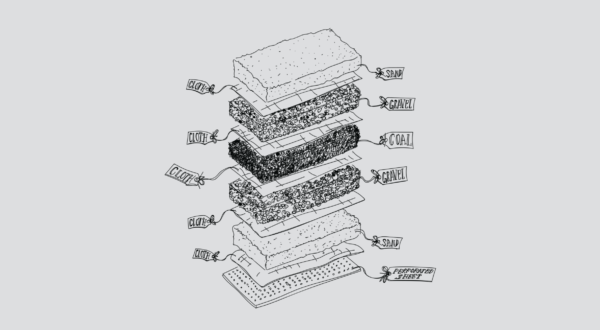 By sandwiching sand, gravel and charcoal, you can make a natural filter. This filtered water can kept for months when stored in a thick walled container. All aspects of the project are based on local available materials, so everybody around the globe should be able to make one. Besides the physical products we thought about an online community that could exchange improvements and updates. How far along with the project are you and what are your plans for the future of it? Well, during a project in Malawi I tested the idea and came to the conclusion that it is possible but doesn’t make sense. People drink rainwater even without filtering it. So the filter became a complex and expensive thing people don’t really need. The challenge that was left was storage. We found that people actually do store their water in big plastic containers. But these were expensive too and the local way wouldn’t be cheaper. It became clear to us that a solution to this problem needed much more research in context and probably would result in some different solutions. Unfortunately, we didn’t had the time for it at that specific moment. So we ended up with a nice idea, but not necessarily helpful to our intended target group. Not yet at least! I can’t handle injustice. There are so many things in this world that are unfair and just bad. Using our creativity for the good and try to make a positive impact is our way to fight it and inspire people to do the same. Besides, we love to solve problems and use our creativity to make a difference. Our way of working can make a difference for people. 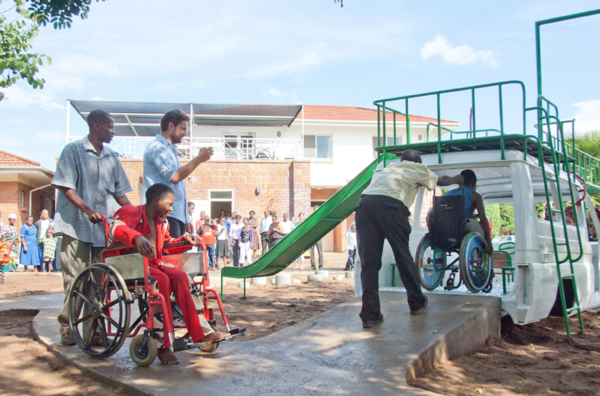 Our projects in Malawi, for example, show that our local partners really benefit from the things we did there. It gives a huge feeling of satisfaction to see that. What does Makerversity offer an initiative like yours? It is great to have a place where we can prototype first ideas and have access to modern techniques and a proper workshop we can use. It feels good to be part of the Makerversity family and get inspired by all the different specialists and disciplines. It’s a privilege to have these possibilities! Check out Super Local’s inspiring, super fun Instagram to stay updated with their amazing projects. 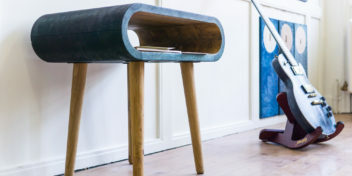 And have a look at their latest project!